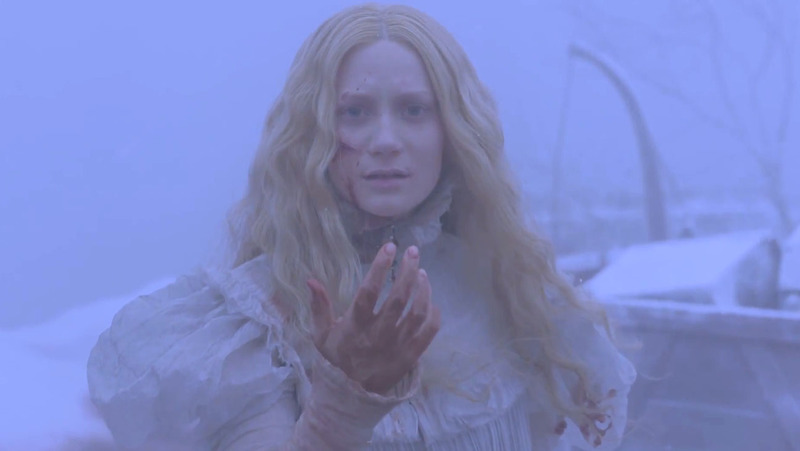 Crimson Peak – Did You See That One? 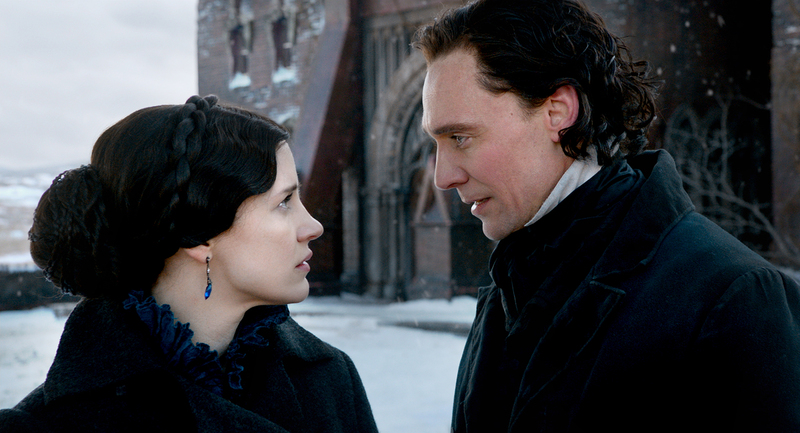 After a series of personal tragedies, Edith Cushing (Wasikowska) succumbs to temptation and leaves with the mysterious Thomas Sharpe (Hiddleston). 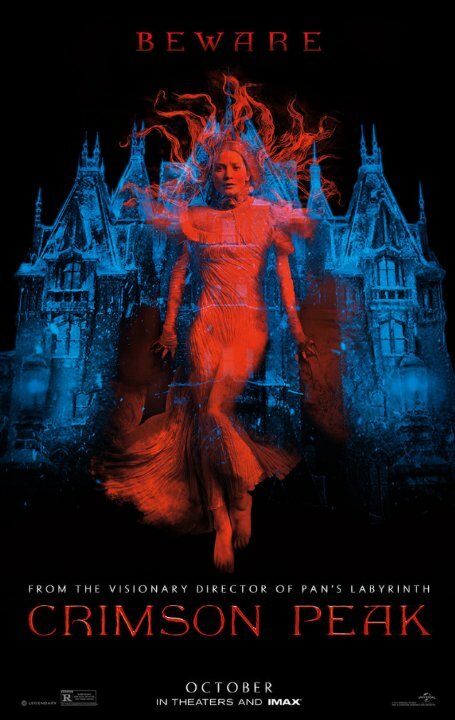 As she settles into life with Thomas and his sister Lucille (Chastain), Edith begins to sense another presence in the home on Crimson Peak. This gothic horror film was written by Matthew Robbins (The Sugarland Express) and Guillermo del Toro (Cronos). Guillermo del Toro also directed this one. The cast includes Mia Wasikowska (Lawless), Tom Hiddleston (Midnight in Paris), Jessica Chastain (A Most Violent Year), and Charlie Hunnam (Cold Mountain). This is a classic gothic horror film that brings nightmares to life within constructs that feel like they were pulled from a 19th century novel. Robbins and del Toro do a nice job setting up the story with layers of tragedy and harsh realities. The supernatural elements of the film are introduced with a level of moderation that helps keep the mystery alive. The characters in this one are nicely written, and provide the actors with a lot of emotional background to use in their performances. The sense of dread and the tension within this story really help to bring this one some energy. Unfortunately the story seems to lose focus in the later parts of the film. This isn’t a fatal error, but it leaves the payoff feeling a bit weaker. There is also a level of predictability that seems to come from the similarities the story has with similar works. (Think Bram Stoker’s Dracula.) This is a flawed story, but it still works well enough to be enjoyable. The acting in this movie is uniquely dramatic. The stars all do a nice job bringing the tone of the story out without becoming melodramatic. Mia Wasikowska leads the way with a performance that seems to bring out both the innocence of her character as well as the baggage Edith carries from her personal tragedies. Tom Hiddleston was a great choice for the role of Thomas Sharpe. He does a great job creating a character who is duplicitous and torn. The inner struggle of Hiddleston’s character comes out nicely throughout the film. 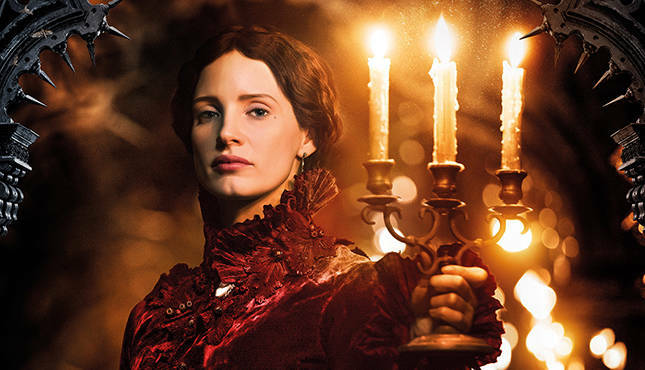 Jessica Chastain rounds out the leading trio in this film. Her performance is another example of her ability to handle darker roles. Much like her work in A Most Violent Year, Chastain was able to bring out the quiet intensity of her role. The performance of Charlie Hunnam and a number of other actors really rounds out the film nicely. Despite some of the story issues, the acting brings this one some real highlight moments. This movie looks great, I mean really great. The visuals give the world of the film an eerie tone that enhances the story. The digital effects are also fantastic. The movie creates a version of a forgotten era that feels like it could be real, and then slowly transforms it into something fitting for the second half of the film. The movie also features a wonderful score. The music enhances the feel of the film from the very beginning. Composer Fernando Velázquez (The Impossible) seemed to understand exactly how to score the film without ever getting in the way. This one looks and sounds wonderful. This is a good movie that loses steam and misses out on an opportunity to be great. That doesn’t mean that this isn’t worth seeing. The story might have some flaws, but the production value and performances of the stars are great. For fans of gothic horror, this is a must-see movie. I would also recommend this to fans of the cast and the director. This is a violent movie at times, so it might not be for everyone. I give this one 3.7 out of 5 stars. Pingback: Kong: Skull Island | Did You See That One?